MILPITAS, Calif. (KGO) -- A small brush fire threatened homes in the Milpitas Hills area Saturday afternoon. It started around 2:30 p.m. near Calveras Ridge and Country Club Drive. 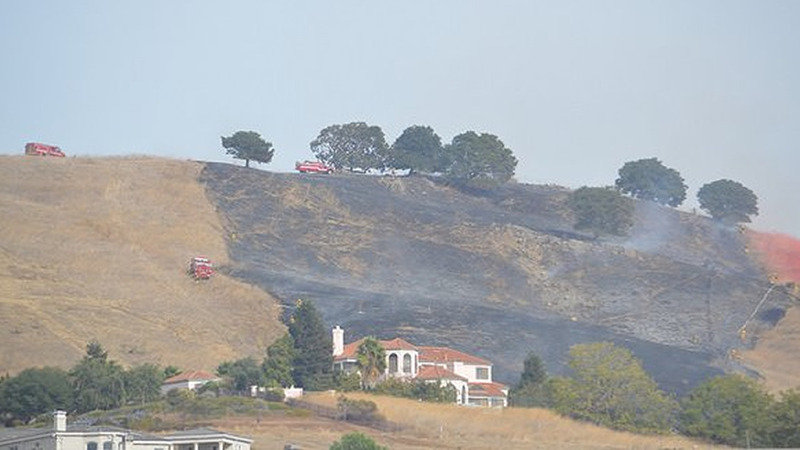 ABC7 News viewer Kaymann Woo shared his pictures of the fire and just how dangerously close it came to nearby homes. Helicopters and air tankers dropped retardant on the fire.